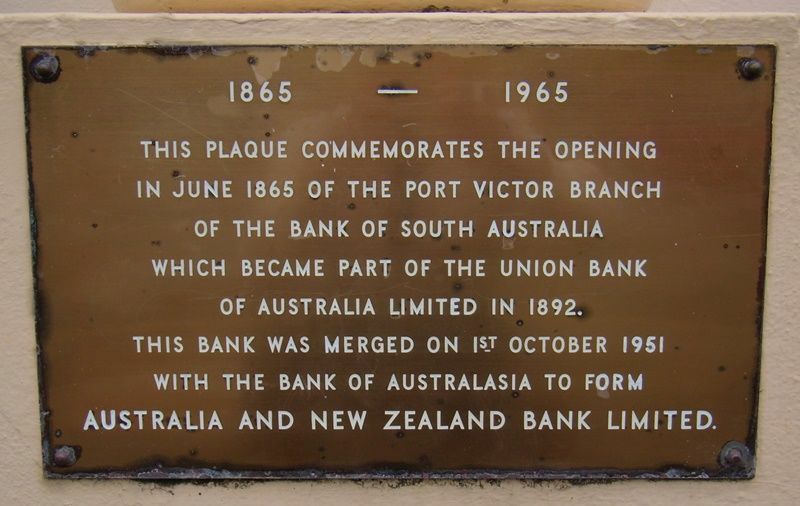 A plaque commemorates the opening of the Port Victor branch of the Bank of South Australia in 1865. The Bank of South Australia became part of the Union Bank which later became the Australia and New Zealand Bank (ANZ) . This plaque commemorates the opening in June 1865 of the Port Victor branch of the Bank of South Australia which became part of the Union Bank of Australia Limited in 1892. This bank was merged on 1st October 1951 with the Bank of Australasia to form Australian and New Zealand Bank Limited.